The New York Times asked me to cover the Binghamton Rumble Ponies baseball team. A local AA affiliate of the New York Mets that would not ever be covered by a paper like The New York Times, the reason was because of one particular player. Former Heisman Trophy winner and NFL Quarterback turned baseball player Tim Tebow is now playing for the team. 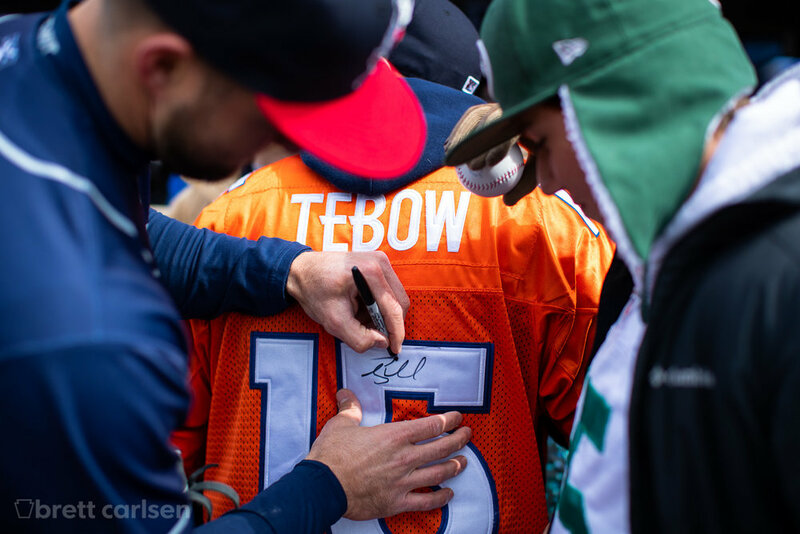 I ended up making two trips to the stadium, the first to cover Tebow playing in one of his first games with the team and then another to photograph the team's owner. Making photographs of just one player during a nine inning baseball game was a little challenging. Being a minor league stadium on a near freezing temperature day, there was not many shooting positions or variety to have. I spent a lot of time hoping for a defensive play to his position in left field and chasing him before and after the game and was able to get some nice interactions with other players and fans. These photographs were made with the Canon 1DX Mark II camera bodies, 200-400 f4 IS 1.4x and the 50 1.2 L lenses. Please enjoy the outtakes below, you can read the full article here or see it in May 13th Sunday Edition. Had the pleasure of helping with another amazing couple's special day, this time in Rochester, New York. This time we had some classic wedding moments, like the big Catholic church ceremony, an incredible Father of the Bride speech and even a quick bride and groom portrait session under the marquee lights of the Eastman Theatre. A beautiful couple in a timeless wedding so I attempted to keep things simple and clean and use available light as much as possible throughout the day, even at times when it could be seen as a little harsh. Would love to hear your thoughts and always couples looking for a wedding photographer in New York, do not hesitate to email me with inquiries. I had the great opportunity to shoot part of a feature article for Runner's World and some of the great running destinations in the United States. 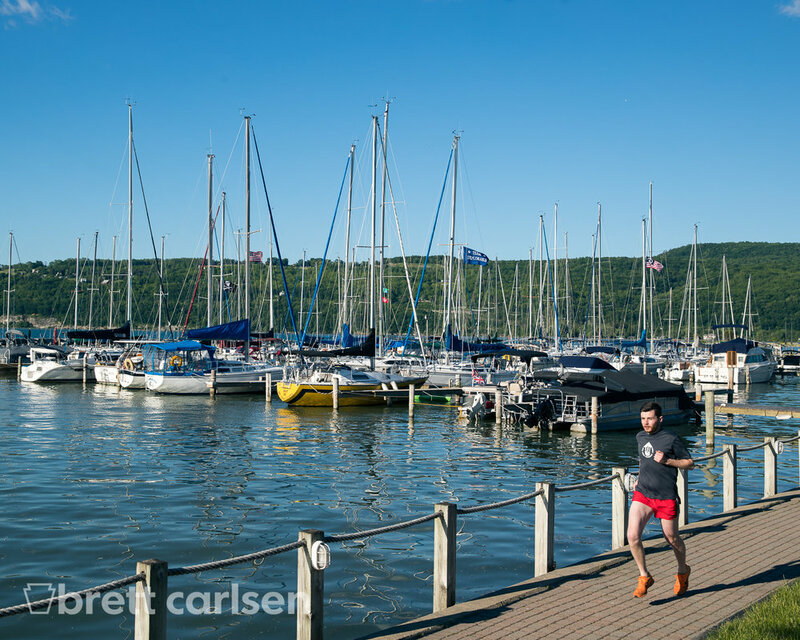 I was hired to photograph a few popular running areas in Watkins Glen, New York. Watkins Glen is the hub of New York's Finger Lakes region and a very popular tourist destination for the wineries and race track but also it's outdoor activities including running. I worked with my friend and fellow RIT alumnus Mike Bradley, he modeled for the shoot, and we hit a few of the spots the editors prescribed but also I worked to find another angle that may illustrate what they were talking about more clearly. As it would turn out, the extra view I found ended up being the full page photo they ran. Let me know what you think, I attached some outtakes as well.